Shifting paradigms: Berwick urges "radical shift" in medical industry toward "creating health"
In a plenary session for the annual meeting of the influential Institute for Health Improvement, former Center for Medicare and Medicaid Services administrator Donald Berwick, MD called for "some part of the health care enterprise to be re-directed to health creation." He speaks to us "not having the systems to do this now." Berwick's says these may be "vastly further from our current system than what we would like." He believes that "the re-design may be more radical than we have thought." To provide guidance, Berwick spoke of his mentors, in particular long-time leaders in the integrative health and medicine community, Jon Kabat-Zinn, PhD, Dean Ornish, MD, and, particularly, Wayne Jonas, MD. He repeatedly refers to these as "thought leaders." Berwick notes that this shift is greater than that required to take a profit focused medical industry and get it to focus on the Triple Aim values that IHI has led in promoting: increasing patient experience, enhancing population health and lowering per capita costs. "The improvement movement," Berwick states, "needs to turn to creating health." The talk is here. Last year the Integrator celebrated the success of petition drives in both the licensed acupuncture and naturopathic medical communities to hit the 25,000 threshold which required a White House response. Earlier this month, the responses came in. To the White House response to the naturopathic physicians' petition to be included as primary care providers, Jud Richland, MPH, CEO of the American Association of Naturopathic Physicians, responded at length in this column to his members. He begins by saying that the White House chose to not take a strong stand on the "political infighting" relative to the effect of the non-discrimination clause. Yet Richland thinks the position is positive enough for his members that the AANP "will use it as one more arrow in our quiver" in meeting with state decision makers on inclusion. A query to the American Association of Acupuncture and Oriental Medicine did not yield any response to the White House response on their position that acupuncturists as covered providers in Medicare. The White House position was essentially a primer on the laws that need changing. An example: "Furthermore, acupuncture is not a covered benefit within the Medicare program. To cover acupuncture would require a change in statute or a change in the CMS National Coverage Determination (NCD)." Comment: One might wonder whether the petitions were worth the effort. Richland clearly believes there was direct value, even while admitting that "we had hoped the response would have clearly enumerated 'naturopathic physicians' as a specific provider type that had to be included." He concludes with his view that this is "added ammunition" in their work to "connect the dots for officials in licensed states and educate them that naturopathic physicians are providers who are licensed to provide routine health benefits." The retirement of US Senator Tom Harkin this year is stimulating plans to thank him in this last year of his service. Harkin's long-time support of chiropractic will be the focus of a "Green Tie Gala" during the American Chiropractic Association's National Chiropractic Legislative Conference. Harkin has a fondness for green ties. Meantime, the Samueli Institute is stimulating planning by a broad group of organizations They anticipate a celebration of all those who wish to honor the policy-maker who has, far and away, had the most significant influence on advancing the patient's interest in integrative health and medicine. That event is anticipated to be either May 5 or June 2 and will likely begin with an afternoon program. Hold the dates! More to come. Comment: As an invited participant to the team organizing the Samueli-led event, under my hat as a principal in the Academic Consortium for Complementary and Alternative Health Care, I have been reflecting on Harkin's remarkable contributions. The National Center for Complementary and Alternative Medicine. The White House Commission on CAM Policy. Section 2706, Non-Discrimination in Health Care. Other inclusion of integrative health and complementary and alternative medicine practitioners in the Affordable Care Act. Multiple chiropractic initiatives. Harkin has merely taken what was outside the medical industry, but inside the health care chosen by patients, and used federal policy to move it in. A trip to DC for this event may seem spendy. But imagine the cost of each of these advances had Harkin not been seated in that key, US Senator Appropriations Committee position from which he made these so. What a legacy! Plan to come! 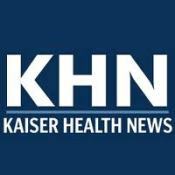 The Kaiser Health News article begins this way: "Maryland officials have reached what analysts say is an unprecedented deal to limit medical spending and abandon decades of expensively paying hospitals for each extra procedure they perform." The new payment structure, approved by the federal government, will limit Medicare payments to the level of the state's per capita economic growth. Hospitals, which have grown their revenues at a rates twice as fast as the Maryland economy over the past decade, "agreed that their revenue from all sources - private insurance, government and employers - will rise no faster than growth in the overall state economy." One administrator was quoted as saying that "we've done most of what we can do easily now." A naturopathic approach to the prevention of cardiovascular disease: cost-effectiveness analysis of a pragmatic multi-worksite randomized clinical trial in the Journal of Occupational and Environmental Medicine. The positive treatment outcomes of this trial were previously published in the Canadian Medical Association Journal in this study led by Dugald Seely, ND. The cost exploration by Herman, now with the RAND Coprporation, was a one-year study of the care of naturopathic doctors on a population of employees of Canada Post, the Canadian government's postal service. Herman and her team estimated that "the risk reductions came with average net study-year savings of $1138 in societal costs and $1187 in employer costs." Comment: The old saw about how "it isn't what you know but how you say it" is re-framed in journal-speak to "it's not what you find but where you publish it." I recall learning a dozen years ago that corporate medical directors don't have the same hierarchy of journals as the NIH or the academic medicine community. JAMA is not necessarily the cat's meow. In fact, that journal might be rarely read. Rather, right up in the top tier of the most read list for the powerful employer stakeholder is the Journal of Occupational and Environmental Medicine. Credit the Herman team for this article's brilliant placement. The twin CMAJ and JOEM publications from this study certainly make this the most powerful single study relative to naturopathic integrative medicine. It may well be the most significant positive outcomes for any integrative medicine intervention. The value is that it is a real world context that explores all aspects of the Triple Aim: patient experience, population health outcomes and cost. We need more such trials. Many more. In a blog posting, "When to Get Pragmatic," Josephine Briggs, MD, the director of the NIH National Center for Complementary and Alternative Medicine, Briggs speaks to the need of her agency to engage in real world studies: "Many complementary approaches are readily available in the marketplace. As a consequence, NCCAM sits at the crossroads between research and real-world consumer use." For this reason, she and her agency made the decision "about 2 years ago to take on a major administrative and leadership role in an NIH Common Fund initiative called the Health Care Systems Research Collaboratory." Through this engagement with large health systems, NCCAM will participate in significant "pragmatic trials." She defines these as those that "test an intervention, or compare several interventions, delivered under conditions as close to the 'real world' as possible." Two integrated pain management studies are underway via the Collaboratory. Briggs calls this type of research "a paradigm shift in clinical research." Comment: First, credit Briggs for the direction. Examining the value of integrating complementary and alternative "modalities, systems and disciplines" with mainstream delivery was at the top of Congress' list when they passed the NCCAM mandate. It was also smart to get NCCAM into leadership of these NIH Common Fund projects. At the same time, particularly in light of the Herman-Seely publications noted above, one can't help but remark that NCCAM could do a great deal more, now, by fostering such real world examination of the impact of integrative health and medicine disciplines on populations. These outcomes suggest there may be easier, and less expensive, and more inclusive methods for NCCAM to help us understand real world impact than through this Collaboratory. "We've come to the conclusion that cigarettes have no place in a setting where health care is being delivered." So explains pharmacy chain CVS Caremark's president Larry Merlo regarding his firm's decision to remove cigarettes from its stores. The decision will reduce the firm's sales by over $2-billion. The American Public Health Association has initiated a campaign for other pharmacies to follow suit in "breaking the co-dependence" businesses have with the tobacco industry. Comment: Huge deal for this for-profit firm to act on principle and leave money on the table. In retrospect, the norm of drugstores selling cigarettes evokes images of doctors examining patients with ashes falling off the end of their Marlboros. This is exceptional leadership in shifting the "perverse incentives" in the industry. Beth Sommers, PhD, LAc has written an excellent report and review of the activities of the Complementary and Alternative Health Care Practices Special Interest Group at the recent American Public Health Association conference. The title of the Acupuncture Today article, Think Global, Act Local: CAM's Role in the Public Health, echoes the theme of the meeting. Sommers, a principal with Pathways to Wellness, serves as co-chair of the special interest group that developed the program. She notes that "although APHA meetings have included studies on acupuncture for over a dozen years, this year's gathering specifically addressed the integration of acupuncture into conventional healthcare." Comment: Sommers provided the Integrator a brief summary of the developments of the special interest group in the December 2013 Round-up. This Acupuncture Today piece, though acupuncture-centric, is a good companion piece on the fine work going on under Sommer's term in leadership. A recent edition of Health Insights Today includes a report on a new MD-DC collaboration. Author Daniel Redwood, DC writes: "The first-ever joint meeting of University of Kansas Medical Center faculty members specializing in pain medicine, clinical and research faculty from Cleveland Chiropractic College, and practicing chiropractors from the Kansas Chiropractic Association (KCA), was held at the College in early December. It featured presentations by Kendall Payne, DC, president of the Kansas Chiropractic Association and Dawood Sayed, MD, of KU, in which these doctors described their successful collaboration on a patient with extreme facet-related pain and described the contribution each of their professions brings to the care of low back pain. Participants agreed to continue meeting on a regular basis and to expand their reach to include primary care medical physicians and others." The article continues with content of the meeting. Comment: Good to see these cross-institutional relationships, if not yet formalized inter-institutional relationships, forming to advance and expand the spirit and practice of interprofessional care. Redwood's publication continues to be a leading-edge resource for better integration. Comment: Fascinating to see this reverse "knowledge transfer" of acupuncture programs, course work and teachers from the US to China. Tea to China. Coals to New Castle. On January 8, 2014, the Society for Integrative Oncology (SIO) sent a note sharing the significant penetration of SIO content into perhaps the most significant vehicle for information about clinical cancer treatment. The American Society of Clinical Oncology (ASCO) publishes The ASCO Post. ASCO's December 15, 2013 issue focused on SIO and its recent 10th International Conference held in Vancouver, British Columbia. The coverage included interviews The Post's senior editor conducted with SIO's president Heather Greenlee, ND, PhD and immediate past president Susan Bauer-Wu, PhD, RN, FAAN for these articles. Click here to read The ASCO Post article highlighting the SIO Conference and here to read the article based on a conversation with Dr. Greenlee. SIO notes that The Post also published a summary of the 'Best of SIO' abstracts from the conference. Comment: Quite a sign of value that integrative oncology is gaining to see this level of interest from ASCO. My guess is that the Greenlee interview is also the most significant positioning of a naturopathic physician in that journal and for that field. By far the most significant media campaign associated with integrative health and medicine is that engaged by the Foundation for Chiropractic Progress. The organization, which is an exemplary consortium of all the chiropractic stakeholders, recently published its 21-page, instructive, 2013 PR Report. Bottom-line: F4CP estimates that its work, in multiple ad placement, public service announcements, and media coverage, was responsible for a total of 20,578,591,775 media impressions in 2013. These "impressions" are defined as the total number of people exposed to an article, public service announcement, print advertorial and/or advertisement. Comment: For most professions and interests in these field, this report will be a "read it and weep" experience - regarding all that is possible in visibility creation, but is yet beyond most organization's reach. The report is an example of what can be done when an entire profession, and the industry that supports it, puts its shoulders to the same plow. The Coalition of National Massage Therapy Organizations has published the following comments in support of Entry-Level Analysis Project (ELAP): "ELAP is a research project initiated by the Coalition in March 2012. The project goals were to use data to define knowledge and skill components of entry-level education and recommend the minimum number of hours schools should teach to prepare graduates for safe and competent practice in the massage profession. After work was completed in December of 2013, the project work group submitted two documents to Coalition representatives, The Core: Entry-Level Analysis Project Report (the Final Report) and The Core: Entry-Level Massage Education Blueprint (the Blueprint). These documents describe ELAP work group data analysis processes, procedures, findings and recommendations for core learning objectives, outcomes, and teaching hours." The documents became available to download from the ELAP site on February 10, 2014. The American Botanical Council (ABC) has announced that the "largest international professional organization of scientists who analyze and research medicinal plants and therapeutic derivatives thereof has endorsed an educational program that advises industry, health professionals, and researchers about the challenges of adulterated herb and botanical products." The organization is the Society for Medicinal Plant and Natural Product Research, with members from more than 90 countries. The ABC-AHP-NCNPR Botanical Adulterants Program is a coalition of three nonprofit groups: the American Botanical Council, the American Herbal Pharmacopoeia, and the University of Mississippi's National Center for Natural Products Research. More than 100 other American and international parties cooperatw with the Program. Adulteration refers to the accidental or intentional substitution or dilution of a material with an undisclosed lower-cost ingredient, thereby giving the consumer or user a false sense of the value of an ingredient or product containing such an adulterated ingredient. Comment: Credit ABC's persistence in building energy around this program. This is among the efforts that counter the kind of anti-industry rhetoric of Congressman Henry Waxman (see People, below) and others. One of the most significant health system-based integrative health and medicine program in the United States, at Aurora Health Care, has announced that it has job openings for licensed acupuncturists, chiropractors and massage therapists. The job description for acupuncturists is here, for massage therapists is here, and for chiropractors here and chiropractic assistants is here. The Aurora Health integrative medicine program is organized and directed by Nancy Conway, MS. Comment: I had the opportunity to hear Conway speak at the International Congress for Clinicians in Complementary and Integrative Medicine in October 2013. She's done a remarkable job of developing this program with a persistence and creativity that have apparently evolved into a verb, inside the system: to be Conwayed. How many who have persisted in this field have not had to have at least a little of that ju-ju? Comment: The use of homeopathy is widespread. Yet other than the education included in accredited naturopathic medical programs, no education in the homeopathic field has the brand of US Department of Education recognition. The consumer has no guidance on standards. Cotroneo and ACHENA are at the front-lines of planting this field in US health care and setting a secure standard. For the right person with an interest in homeopathy and a passion for advancing integrative health and medicine, this is a tremendous opportunity to contribute. The Washington Association of Naturopathic Physicians has released a statement honoring its former president, Kasra Pournadeali, ND as the new president of his profession's national association, the American Association of Naturopathic Physicians. The statement shared, in part, that Pournadeali "brings to the position experience of private practice and teaching, and expertise in politics and media." The statement adds that Pournadeali is the founder of the Northwest Center for Optimal Health, in Marysville, Washington. His clinic is a naturopathic residency training center, accredited by the Council for Naturopathic Medical Education. He has been a provider for over 20 years, and has held faculty appointments at Bastyr University and the University of Washington. Pournadeali takes over for Michael Cronin, ND, whose administration brought in a new CEO, and a broader, more involved committee structure. In an e-news note, the American Herbal Products Association noted the decision of Henry Waxman (D-CA) to not seek re-election after 40 years. AHPA executive director Michael McGuffin states: "Congressman Waxman always presented himself as acting with the best of intentions in his ongoing efforts to amend DSHEA. But he has been out of touch with his supplement-using constituents for many years, and though he may be missed for his intelligence and experience, his unwillingness to accept that DSHEA is a good law will be his primary legacy in the supplement industry." Waxman serves the supplement using populations of Hollywood and the surrounding beautiful people zones.